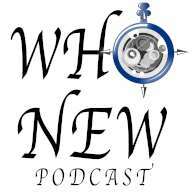 A group of friends have a roundtable discussion exploring the current incarnation of Doctor Who and maybe a few classic episodes along the way. We’re taking a quick trip in the Tardis to see the animated adventure, Dreamland. The Doctor visits a lonely diner which just happens to be next to the mysterious Area 51. Soon he is evading the US Military, fighting an alien invasion, and trying to get a bowl of chili. Sarah Jane is getting married! But Clyde is suspicious something alien is affecting her. And then The Doctor arrives uninvited. When Sarah Jane starts to act strangely, the kids follow her and discover that she’s secretly seeing a man named Peter Dalton. After he proposes to Sarah Jane, Clyde is convinced she’s under alien influence. At the wedding, the ceremony is stopped when it’s objected to by… The Doctor! The Doctor arrives in London on Christmas Eve, 1851 where he meets The Doctor. Christmas in Victorian London seems all merry and bright, until Cybershades appear, the wealthy elite are murdered, and children are abducted for hard labor. On top of all that, the Doctor meets up with a man who claims to be… The Next Doctor. It’s time for Who Classic! We’re taking a quick trip in the Tardis to see the 4th Doctor, Sarah Jane, and Harry witness the creation of the first Daleks! Sarah Jane, and Harry join the Doctor in the middle of an ancient war between the Kaleds and the Thals of Skaro. They are there to stop the Kaleds from evolving into… the Daleks! But when the time comes, can the Doctor commit genocide? In our season 4 overview, we discuss Donna Noble’s adventures with the 10th Doctor. Join in our discussion of Donna’s impact as a companion. We also talk about the missing celestial objects, who is returning, and the missing of the bees. It’s Christmas Time! So before aliens, disembodied brains, the Titanic, and… evil snow try to destroy the earth, let’s binge watch the most festive of the 13 Doctor Who Christmas Specials thus far. Join us as we discuss our picks for a Christmas playlist to warm your heart. Spoilers ahead! In our Christmas special, we rank the 13 Doctor Who Christmas Specials by their Christmasy~ness because, well, it’s Christmas! All our heroes are in peril from the invading Daleks while the Doctor is in mid-regeneration. The outlook is grim. Is there any hope for humanity? As the Daleks kidnap people across the Earth, the Doctor’s friends fight for their lives while trying to discover the Daleks’ master plan. Inside the Tardis, a mortally wounded Doctor begins his next regeneration!? Plus, the Children of Time help defend the Earth. The Doctor and Donna must solve the mystery of the missing planets and why the bees are disappearing. While back on England soil the Earth shakes leaving the Doctor and Donna without a planet, someone’s moved the Earth! The Doctor’s human allies rally together to try to figure out where they are, and who’s responsible for moving the Earth. The Doctor and Donna return to Earth only to have the planet disappear completely! Who could have stolen the Earth? 26 planets have appeared in the sky but there’s no sign of the Doctor. Martha, Sarah Jane, and the Torchwood Team try to find out who is behind the Earth’s trip across the universe. And Rose has returned ready to save all of reality! A Bonus Episode! We attended the Doctor Who Cosplay meetup organized by Temple of Geek at the LA Comic Con. We met a lot of nicely dressed fans and not just Doctor Who related. Every single moment affects every moment after it. What if you turned left one day instead of right? Thanks to an encounter with a Trickster Fortune Teller, Donna is about to find out. While driving into town, Donna and her mother argue over Donna’s job. Sylvia convinces Donna to turn right for a job interview. Because of this, she never meets the Doctor who dies fighting the Racnoss on Christmas Eve. The next few years unfold, well…badly, very, very badly. Originally posted in October of 2017. We're taking a quick trip in the Tardis to find out what Sarah Jane Smith has been up to since we last saw her. Sarah Jane has said she saw amazing things, out there in space–but there is strangeness to be found, wherever you turn. Life on Earth can be an adventure too… you just need to know where to look! The first episode of season 11 (even thought we say season 12) has just aired, meaning Jodie Whittaker is our new Doctor! This is a spoiler free, quick take on the episode. Let us know your feelings on the new season. The first episode of season 11 (even though we say season 12) has just aired, meaning Jodie Whittaker is our new Doctor! It’s time for a little vacation. Those always seem to go well. On the irradiated and airless planet of Midnight, Donna relaxes by the pool while The Doctor takes a tour to the Sapphire Waterfalls but the bus breaks down, something tries to break in (but nothing can exist outside! ), and the passengers start to turn on each other. We had so much to discuss about Forest of the Dead that it needed two episodes! Donna’s world has shattered, the Vashta Nerada continue to hunt, and the mystery of CAL is revealed. But it’s River and her actions that causes the biggest impact on the Doctor. The Doctor and River are on the run from the Vashta Nerada in the Library. And Donna Noble has been saved, but has she survived? The Vashta Nerada are killing people one by one. The mystery of River Song deepens as she reveals the ultimate truth to the Doctor in order to gain his trust. And time flies as Donna finds herself in a peaceful life where she meets a man, gets married, and has kids – until that peace is shattered. The Doctor and Donna are called to the largest library ever created, but find it deserted. They meet up with a mysterious woman who has intimate knowledge of the Doctor but there’s one problem — he’s never met her! A Bonus Episode! First, Eugene tells us about the Doctor Who Panel at the 2018 San Diego Comic Con with Jodie Whittaker, Chris Chibnall and the new cast in Hall H.
A Bonus Episode! Eugene tells us about the Doctor Who Panel at the 2018 San Diego Comic Con with Jodie Whittaker, Chris Chibnall and the new cast in Hall H.
It’s time for Who Classic! We’re taking a quick trip in the Tardis to see the 4th Doctor, Sarah Jane, and Harry on an adventure in humanity’s distant future! The Doctor, Sarah Jane, and Harry stumble upon the remnants of the human race who are cryo-sleeping their way to a better future on a spaceship. They discover that the insect-like Wirrn have thrown a wrench into the slumber of humanity. We also see Green bubble wrap! Nothing says classic like green bubble wrap! The Doctor and Donna arrive at an English country manor in 1926. As the guests are murdered one by one, they are joined by Agatha Christie to find out whodunnit. Lady Eddison is hosting a weekend in the country. Her guests include a Reverend, a Colonel, a Professor, a thief, and Agatha Christie herself. When one of them is murdered, it’s up to Christie, a Time Lord, and a temp from Chiswick to find the culprit. Also, where’s that buzzing is coming from? Lady Eddison is hosting a weekend in the country. Her guests include a Reverend, a Colonel, a Professor, a thief, and Agatha Christie herself. When one of them is murdered, it’s up to Christie, a Time Lord, and a temp from Chiswick to find the culprit. Also, where’s that buzzing coming from? The Doctor, Donna, and Martha are kidnapped by the TARDIS and land on a world during an endless war! The war between Humans and the Hath has waged on for generations, with instantly grown genetic copies replacing those lost in battle. The Doctor’s genetic material is used to create a new recruit. She is Jenny, The Doctor’s daughter and she’s trained to be a soldier. It’s up to The Doctor, Donna, and Martha to find out what’s behind this war, and to get Jenny to realize that soldiering isn’t the only way. The Doctor, Donna, Martha, and UNIT continue to battle Luke Rattigan and the Sontarans! Toxic gas is choking the world and Rattigan is planning to lead his chosen few to a new world. While the Martha clone works to stop them, The Doctor and Donna run around London and a Sontaran Battle Cruiser to stop the invasion. And wait, who was that on the Tardis monitor? Martha Jones calls the Tardis and brings The Doctor and Donna back to Earth. UNIT is investigating ATMOS – devices that reduce car emissions to zero. But, of course, their real purpose is a mystery. One that Martha wants The Doctor to solve. Plus, it’s the return of an old enemy – The Sontarans. That’s not a spoiler. It’s right there in the title. The Doctor and Donna visit the homeplanet of the Ood and discover that the Ood are more than just “born to serve.” It’s the 42nd Century and The Second Great and Bountiful Human Empire is built on a lie. It’s time for the circle to be broken. The Doctor takes Donna on a sightseeing trip to Ancient Rome… but Rome turns out to be Pompeii. And it’s Volcano Day! Would you let history remain the same when surrounded by thousands of innocent people about to die? The Doctor will say one day, “Imagine… Imagine you knew something. Imagine you found yourself somewhere. I don’t know, Pompeii. Imagine you were in Pompeii. And you tried to save them…” He and Donna don’t have to imagine it. How do you find the Doctor? Donna Noble knows if you go looking for trouble, he’s bound to show up. Adipose Industries claims they can make fat “just walk away.” And they can, literally (in the actual meaning of the word). The Doctor and Donna Noble reunite to find out just exactly what plot Miss Foster has been hatching. On this Quick Trip in the Tardis, The Doctor runs into someone from his past, or his future, depending on your point of view. Filmed for the 2007 BBC Children in Need Special, time gets all wibbily, wobbly again as The Fifth Doctor and The Tenth Doctor join together in the Tardis and try to stop a hole in the Universe the size of Belgium! The Tardis has been struck by the Titanic. The Doctor soon discovers that this Titanic is a spaceship cruising in Earth orbit to celebrate Christmas. On Christmas Eve, The Doctor befriends Astrid Peth aboard the starship Titanic. When meteors crash into the ship, The Doctor and Astrid have to lead a group of survivors through the ship, and discover the cause behind the disaster. Join us for a very special Quick Trip in the Tardis! In our first ever interview, we talk to Paul Salamoff, Mega-fan & Curator of the 8th Doctor’s Tardis, and Matthew Jacobs, writer of the 1996 TV movie -Doctor Who! We’re very excited to share this with you, and we want to thank Paul & Matthew for being great guests! It’s time for Who Classic! We’re taking a quick trip in the Tardis to see the 3rd Doctor and Jo Grant as they battle a new foe! Plastics. The Master believes there is a great future in plastics. Aligning with the Nestene and the Autons, the Master shrinks people, hypnotizes people, and monologues – as only he can. In our season 3 overview, we discuss Martha Jones’s adventures with the 10th Doctor. Join in our discussion of Martha Jones’s impact as a companion. We also talk about the mystery of Harold Saxon, the return of The Master, and the sometimes frustrating relationship of The Doctor and Martha.